Some Blu-ray discs are encoded with a region code. A region code on a Blu-ray disc can restrict which area of the world the disc can be played. The Blu-ray region code system generally divides the world into 3 different zones, namely Region A, Region B and Region C. Below is the Blu-ray region code list for your reference. Region A: North America, South America, U.S. Territories, Japan, South Korea, Taiwan, and other areas of Southeast Asia. Region C: Asia with the exception for Japan, Korea, Taiwan, and other areas of Southeast Asia. This is how the Blu-ray region codes work: A Blu-ray disc encoded with the region code A can only be play with a Blu-ray player with the same region code or a Region-free player. You can’t play a Region A Blu-ray disc with a Region B or Region C Blu-ray player. A Blu-ray disc that carries a specific region code can only be played with the Blu-ray player of that specific region. But there are some region-free Blu-ray players that can play all Region A, B and C Blu-ray discs. You can also find some region-free Blu-ray discs or Blu-ray discs that have all 3 region codes on them. This kind of Blu-ray discs can be play with all Blu-ray players no matter what region codes are encoded on them. When buying a Blu-ray disc in a local store, you can directly look on the cover of the disc to find out about the region code on the disc. If it has all ABC codes on it, it would mean it’s basically a region-free disc, just like the picture shown below. The prices of different Blu-ray discs of the same movie can differ from region to region. Some people choose to buy a Blu-ray disc from a different region because they can pay less money for the same movie. But this could lead to playback problem of the disc if the Blu-ray disc and your Blu-ray player are encoded with different region codes. If you do have a Blu-ray disc like that and you don’t want to see the Blu-ray disc go to waste, you can try to remove the Blu-ray disc region code by creating a region-free copy of the disc. To clarify, there’s basically nothing we can do about the original Blu-ray disc, what we can do is make an exact copy of the disc that has no Blu-ray region codes on it. If you want to make a region-free copy of your region-locked disc, below are the things needed in the copying making process. 1. A Blu-ray recordable disc. If the original disc is BD50, remember to get a recordable disc with the same storage space. 2. A suitable piece of Blu-ray disc copying software that’s capable of removing the Blu-ray region code on the original disc when copying the disc. 3. A Blu-ray drive that supports burning Blu-ray discs. You’ll need it to read and burn Blu-ray discs. When you can’t reprogram the region code on the disc, you can use a program called Leawo Blu-ray Copy to make a lossless copy of your Blu-ray disc and remove the Blu-ray region code on it while doing so. 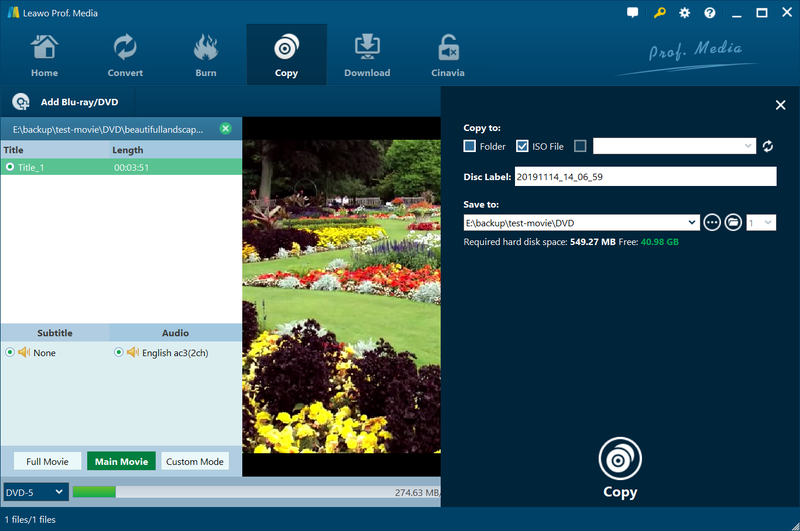 Leawo Blu-ray Copy is designed to help users back up their Blu-ray discs with ease. It can make 1:1 copies of all kinds of Blu-ray/DVD discs as well as compress BD50 to BD25, DVD-9 to DVD-5. It will just take a few steps to make a 1:1 lossless, region-free copy of your Blu-ray disc using Leawo Blu-ray Copy. For a step-by-step guide on that, check out the content below. Step 1. 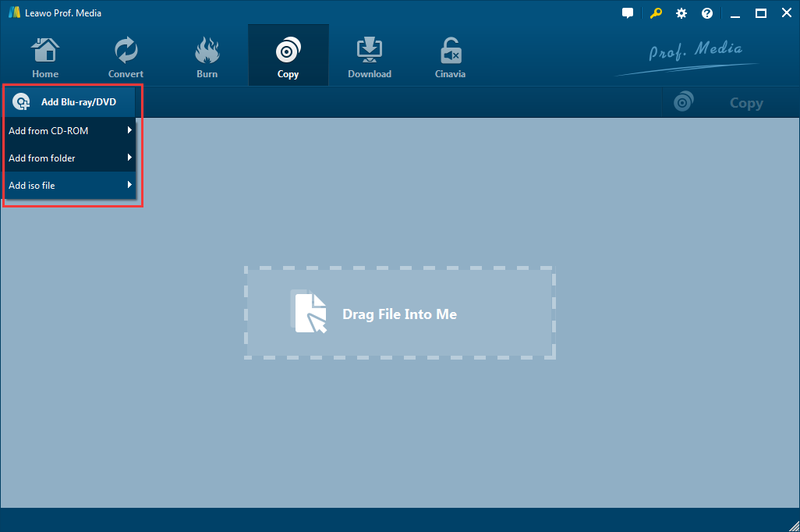 As Leawo Blu-ray Copy is included in another product of Leawo’s called Prof.Media, you need to open Prof.Media first to find the shortcut to opening Blu-ray Copy. Start Prof.Media and click Blu-ray Copy to open it. Step 2. Connect your Blu-ray drive to your computer if you use an external Blu-ray drive. And then put the source Blu-ray disc in the disc drive to get it ready for the copy process. As soon as the disc is detected by the program, you can start to load the data in the disc to Blu-ray Copy by clicking Add Blu-ray/DVD. There will be a drop-down menu with 3 options, click Add from CD-ROM and click the following option. Then the program will start to load the disc data. Step 3. All the content will be listed on the following panel to give you a clear view of them. On the left you will find the video list, audio track list, subtitles list, 3 copy mode buttons and an option for choosing the disc format. There’s also the video player on the right for you to play and preview the video in the disc from the video title list on the left. The most important thing to do in this step is to choose a suitable copy mode. The copy mode decides what content you will be keeping in the copy. Here’s what the 3 copy mode buttons do: Full Movie is for copying all the content in the disc, including all the videos, subtitles and audio tracks. Main Movie is used when you want to copy the main movie and have all other videos like bloopers excluded from the copy. Custom Mode is the manual mode for you to choose the videos, audio tracks and subtitles to keep in the copy. After deciding which copy mode to use, click on the respective button to use that mode. And select the disc format for the copy in the disc format drop-down menu between BD50 and BD25. You should choose a format according to the format of the original disc and the recordable Blu-ray disc you have. Step 4. On top of the video player you should see a Copy button. Click on the Copy button and wait for the sidebar to show up above the video player. On the top of it you will see the Folder, ISO file options and a box next to them. Assuming that you have only one Blu-ray drive, the procedure here is to save the copy to your hard drive first and then burn the copy to your disc using the exact same program. In this case, check either Folder or ISO file. If you check folder, the program will copy the Blu-ray folder to your hard drive. And if you choose ISO file, the program will convert the Blu-ray folder to an ISO file. Both forms can be later used and burnt to your re-writable Blu-ray disc with no problem. If you have a spare Blu-ray drive that can burn Blu-rays, you can connect it to your computer, put the recordable disc in it and directly copy the original disc to the blank disc by checking the third option as you can select the recordable disc as the target from the drop-down menu. In any case, you can click the Copy button at the bottom to start copying the disc. 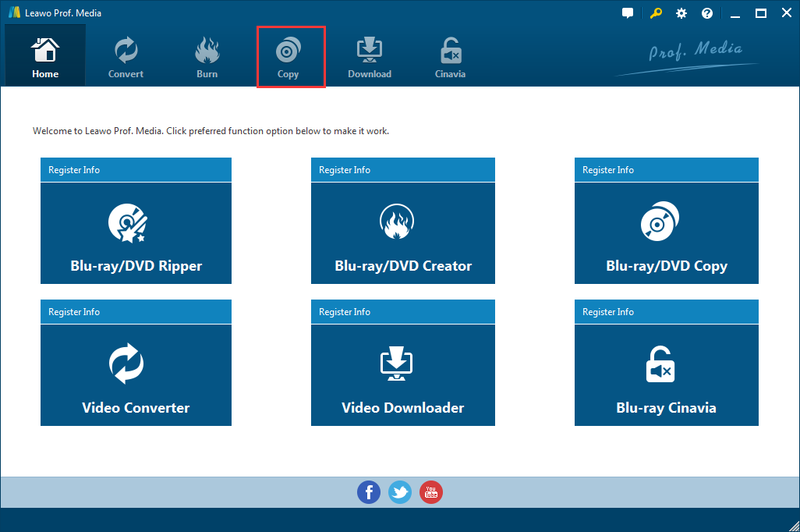 The video below will show you how to copy a Blu-ray/DVD disc with Leawo Blu-ray Copy. When you only have one Blu-ray drive, the procedure for burning the folder or the ISO file to the recordable disc is easy. It’s basically no different from the copying procedure from above. Just drag the folder or ISO file to the program to import them and repeat step 3 to step 4. And in step 4, you’ll need to get the original disc out of the Blu-ray drive and the recordable disc in and select it as the target from the drop-down menu of the third option. Getting the Blu-ray region code removed is not the only way you can have for solving the region code issue. As is mentioned previously, you can also consider getting one of those region-free Blu-ray players to play the region-coded Blu-rays you can’t play with your current Blu-ray player. Check out the two region-free Blu-ray players we are recommending below. You should find no problems playing your Blu-ray discs with them. Being one of the inventors of Blu-ray, you can count on Sony to provide a high quality region-free Blu-ray player. The Sony BDP-S6500 has basically all the features you would want in a Blu-ray player. To start off, it’s region-free, it can play Blu-ray discs from Region A/B/C and DVD discs 012345678. It also has a future-proof feature: 2K/4K video up scaling for when you use a UHD TV. It supports playback of 3D Blu-ray discs and converting 2D movies to 3D to play on your 3D TV. It’s a pretty rounded region-free Blu-ray player. 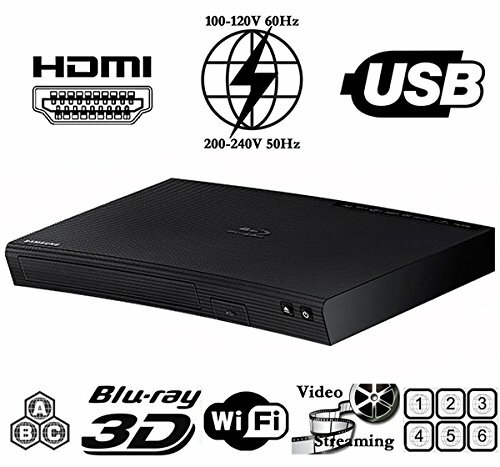 The Samsung BD-5900 is another high-end region-free Blu-ray player that packs all the latest features. It’s region-free for both Blu-rays and DVDs and it plays 3D Blu-ray discs. The most interesting feature of it is the support for Wi-Fi and the Samsung AllShare content sharing technology that comes with it. It allows you to sync and stream media content to your other devices around the household wirelessly. After learning the Blu-ray region code info from above, next time you should pay more attention to it when buying a new Blu-ray disc or Blu-ray player.